Climates: Architecture and the Planetary Imaginary brings together discussions and projects at the intersection of architecture and climate change. 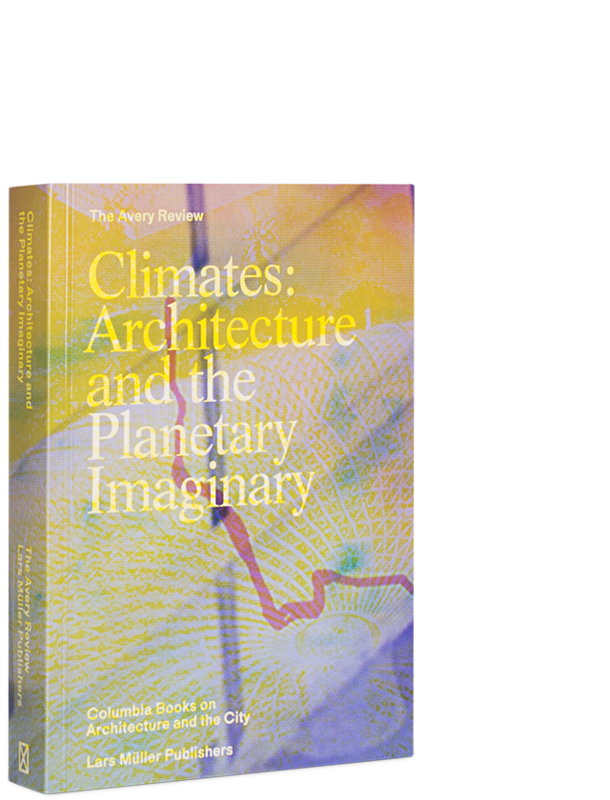 Comprehensive essays consider cultural values ascribed to climate and ask how climate influences our conception of what architecture is and does. Which materials and conceptual infrastructures render climate legible, knowable and actionable, and what are their spatial implications? How do these interrelated questions offer new vantage points on the architectural ramiﬁcations of climate change at the interfaces between resiliency, sustainability and eco-technology? New approaches to understanding climate in architecture based on research as well as the work of leading practitioners make this forward-thinking book invaluable. The essays, notes, projects and conversations are grouped in chapters on Earths, Political Ecologies, Corporealities and Enclosures, accompanied by images, illustrations and sketches. The publication is a project of The Avery Review, a journal produced by the Ofﬁce of Publications at Columbia University’s Graduate School of Architecture, Planning and Preservation.